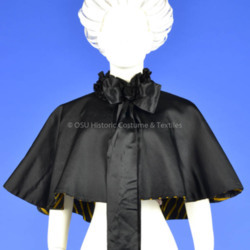 Short cape of black with black and yellow striped lining, silk ribbon flowers around neck with ties. 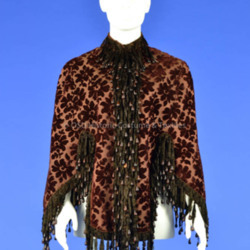 Dolman style capelet of brown cut velvet in floral motif, trimmed with plush chenille brown fringe tipped with brown wooden beads. 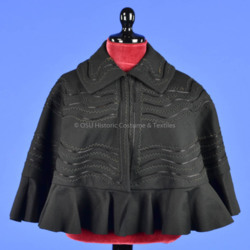 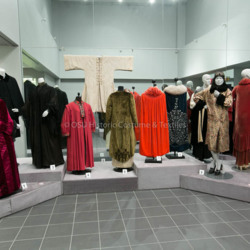 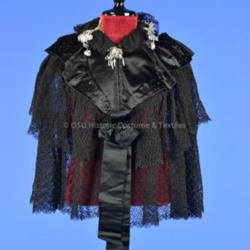 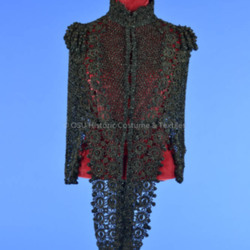 Black lace and satin circular cape, violet silk flower trim at neckline, satin flounce dotted with small jet beads.